2 Sisters Handmade is NOW Shipping Internationally! 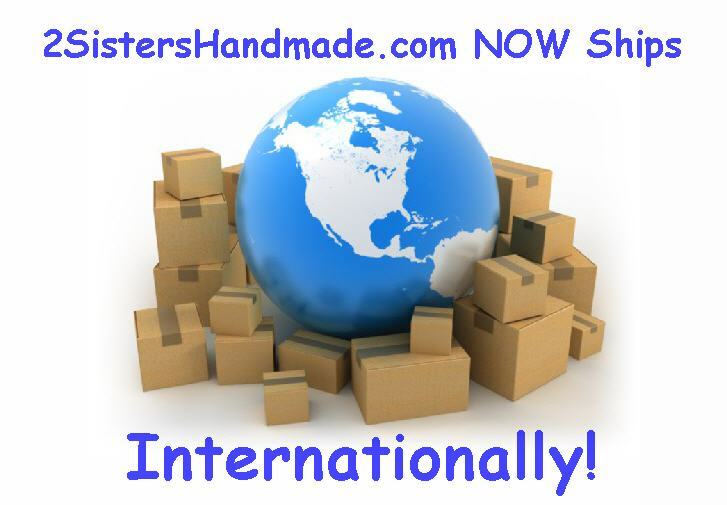 We are pleased to announce that 2 Sisters Handmade is now shipping internationally. Previously we only shipped within the USA. After several requests from international fans, we decided to bite the bullet, so to speak, and begin shipping internationally. We are shipping internationally using First Class US Postal Service. International shipping packages require a customs form. Depending on the country you live in, delivery of your order could take 6 to 8 weeks -- usually being held up in Customs in your country. Plus, you may have to pay additional fees, taxes and customs costs. This would be the Buyer's responsibility and unfortunately we do not know, nor can we estimate these additional costs. Please read our 2 Sisters Handmade Shop Policies for more information on international shipping. ← Slouchy Beanie Hats for Sale at 2SistersHandmade on Etsy!